Days Gone was originally due to release on February 22 2019 ( the same day as Crackdown 3 and Anthem). However, in a recent blog post, Sony revealed it has pushed the release date back from the "crowded February timeframe" to April 26, 2019 to "further polish" the title. 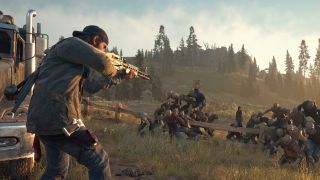 Sony confirmed the release Days Gone at E3 2018. The open-world zombie apocalypse sees you take on the role of a drifter biker trying to survive the post-apocalyptic - including unpredictable weather, attacks from other human factions, infected wildlife and roaming Freakers. Contending with a high-profile title such as Anthem was always going to be difficult, so it seems Sony has decided it's a battle it isn't willing to take.